Why should we have water conditioners? The answer is simple, to make our jobs around the house easy and prevent our exposure to contaminated water. No only our drinking water should be treated, but the water that we use for our day to day tasks. Tap water that contains inorganic minerals is very hard and heavy and it is enemy number one of our water pipes, our appliances, and more important our skin. Whole House Filters - Water Conditioner, Water Softeners, Ultraviolet Systems, Carbon Filter, Well Water Treatment. Quick Guide How to Choose a Whole House Filter. We highly recommend to take advantage of our Free Water Test in order for us to give you personalized recommendation suitable to your specific application. This How to choose Quick Guide offers a general help in choosing your whole house filter. How to Choose a Water Softener? The water softener depends on the water consumption in the household and the amount of contaminant your water currently has. We created a How To Choose a Water Softener Presentation that can be viewed either html or pdf format. This presentation explain in details how the water softener works and how to choose the right water softener for you application. We have also provide an easy to use Help to Choose Form that will generate our general recommendations online. Both the presentation and the form can be found in either our Deluxe or our Premium Water Softener Series Page. How to Choose a UV System? The Pura® Whole House Ultraviolet Filtration will eliminate microbiological contaminants. The Two Stage and Three Stage Ultraviolet Filtration System add additional filtration to eliminate sediment, chlorine, bad test and odor. The more stages you add, the best quality water you will get. The UV System are usually combine with water softener. Consider you current application and choose the product according with the system that you may already have in order to prevent duplicate filtration which will bring you considerable savings. How to Choose a Carbon Filter? 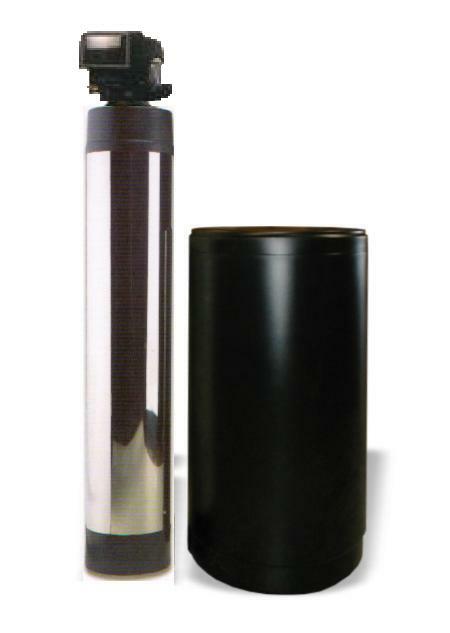 The carbon Filter is usually combine with a water softener to add additional filtration to your application. The model you choose depend on the water consumption. You will need to look for the flow rate, the backwash rate and the rinse rate. For Household of 1 to 4 people based on average household water consumption we recommend model 56CAR-10. For Household of 5 to 7 we recommend model 56CAR-15 and for household more than 7 we recommend 56CAR-20. Please refer to backwash sizing explanation below. How to size a Backwash Filter? To correct size a backwash filter, you will need to know the flow rate where the system needs to be installed. When looking at the system description, you need to make sure that you flow rate is greater than the backwash rate. This rate refers to the minimum flow rate needed in order for the system to backwash completely. If you don't meet this requirement, the media inside the filter does not get cleaned in its totality affecting the performance of the system. Once you determine that your flow rate is enough for the system to backwash, you want to consider what flow rate you would like the system to give you. Do this by looking at the standard flow rate specification. Please note that flow rate can be look at the amount of time it takes to fill out one gallon of water. It can be easily be confused with the water pressure. 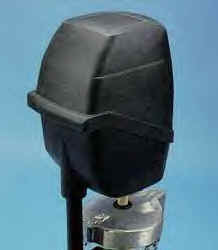 The backwash filters are design to decrease at most one to two psi of pressure which is not noticeable. Whole House Water Softener: These systems are very conveniently installed in the main water feed of the household so water of the whole house is treated. It provides conditioned, soft water by eliminating impurities often found in tap water. Whole House Ultraviolet Systems: These whole house systems are generally installed in the main water feed of the household. They provide healthier water by eliminating microorganism that may cause of waterborne diseases. Whole House Backwash Carbon Water Filter: These whole house system are generally installed in the main water feed of the household. They provide healthier water by eliminating impurities, sediments, chlorine, bad test and odor from the tap water supply. Whole House Canister Type Water Filter: These whole house system are generally installed in the main water feed of the household and used replaceable filter cartridge to reduce water contaminants. Whole House Well Water Treatment: We have a large selection of well water treatment solutions; from chlorinator systems to specialized filter to target specific contaminants often found in well water.